Wednesday’s announcement comes after the company revealed on Tuesday that NUZYRA is now commercially available in the US. 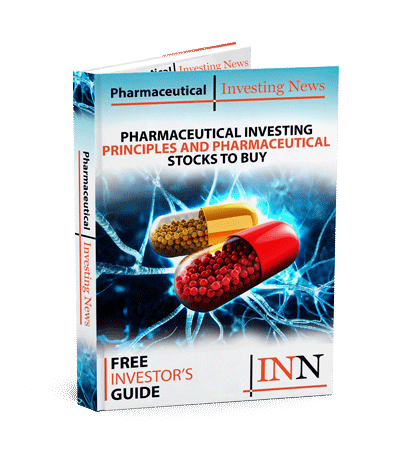 Paratek Pharmaceuticals (NASDAQ:PRTK) revealed on Wednesday (February 6) that the New England Journal of Medicine has released results of the company’s Phase 3 studies of NUZYRA, a novel antibiotic, for pneumonia and skin infections. According to the release, NUZYRA was proved to be safe and effective in adult patients who participated in the Phase 3 clinical trials, called OPTIC and OASIS-1. The antibiotic was given once a day, through intravenous (IV)-to oral, to treat community-acquired bacterial pneumonia (CABP) and acute bacterial skin and skin structure infections (ABSSSI). NUZYRA was officially approved by the US Food and Drug Administration in October of last year, and finally became commercially available in the US on Tuesday (February 5). “Treating skin infections and pneumonia has become increasingly complex due to growing resistance among common pathogens, safety concerns surrounding current antibiotics and the limited availability of oral treatment options,” Keith Kaye, MD, MPH and director of research in the division of infectious diseases at the University of Michigan Medical Center, said in Wednesday’s release. Kaye added that in terms of pneumonia and skin infections, NUZYRA proved to have an effect against common pathogens, such as pathogens that are resistant to other antibiotic classes. Paratek’s OPTIC Phase 3 clinical study compared the safety and adequacy of NUZYRA administered once-daily, IV-to-oral, to moxifloxacin, IV-to-oral, in treating patients with CABP. This trial showed that NUZYRA was non-inferior to moxifloxacin when treating adult CABP adult patients and was safe and well-tolerated. The OASIS-1 phase 3 registration study looked at the efficacy and safety of NUZYRA, administered IV-to oral once-daily against linezolid, which was given twice-daily over a seven-to-14 day period in 645 adult patients. According to the findings, NUZYRA was also non-inferior to linezolid when treating ABSSI. Results were more or less the same among study populations and sub-populations, skin infections and diseases, including MRSA. “These pivotal clinical trials demonstrated that NUZYRA is an effective, well-tolerated monotherapy option for patients with activity across an appropriate spectrum of bacteria, including Gram-positive, Gram-negative, atypicals, and drug resistant strains,” Evan Loh, M.D, president, COO and CMO of Paratek, said in the release. With NUZYRA’s official launch in the US on Tuesday, the company said it plans on creating a “world-class antibiotic sales force” with a main focus during the drug’s first launch year being geared towards physicians with a history of early adoption. Tuesday’s release also says the company aims to provide additional tools and clarification when prescribing antibiotics, including three antimicrobial susceptibility tests and the KEYSTONE Surveillance Program. Paratek said these will be available in connection with NUZYRA’s commercial launch. Shares of Paratek were up 2.67 percent over Wednesday’s trading period to close the session at US$6.91. After hours trading bumped the stock up 1.30 percent to US$7.00 as of 6:10 p.m. EST. Based on four analyst ratings on TipRanks, Paratek is ranked a “Strong Buy” and has an average price target of US$29.50, a high of US$50.00 and a low of US$18.00. The most recent analyst rating came in January from Ed Arce from H.C. Wainwright, who reiterated his “Buy” position with a US$25 price target.